Approximately 60% of fashion and beauty brands currently have an influencer strategy in place, while another 21% plan to invest in influencers over the course of 2016, according to Econsultancy. Why? Because younger generations of women are more likely to trust their favorite YouTuber than other sources of influence, especially when it comes to beauty content. 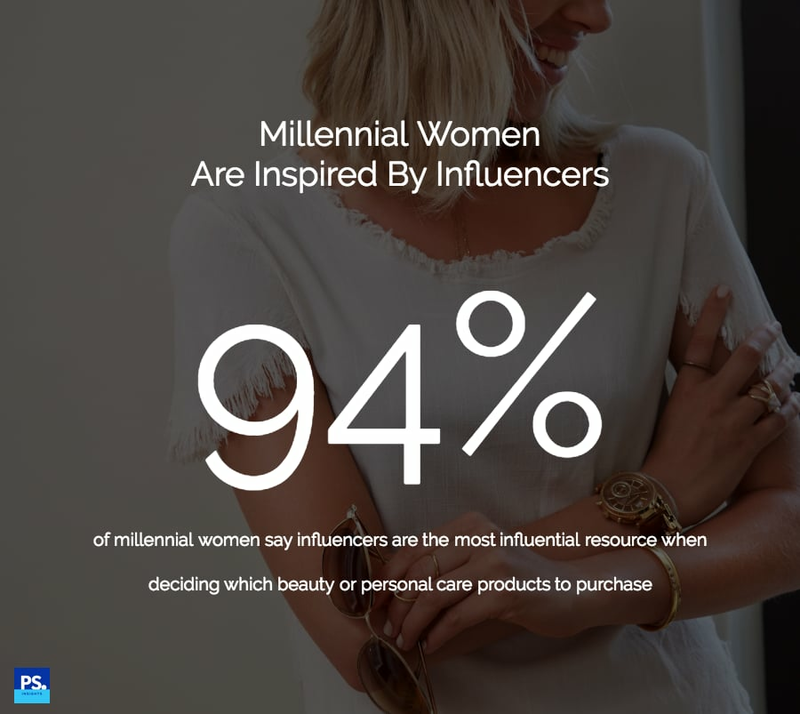 As part of the POPSUGAR Insights study "Beauty Evolved: How Millennial Women Shop for Beauty and Personal Care," we wanted to explore the importance of influencers in helping millennial women decide on which beauty or personal care products they should purchase. Overall, 94% of millennial women say that influencers are important in helping them make their beauty and personal care purchasing decisions. Millennial women found social and topical experts (67%) to be nearly 250% more influential than celebrities (26%). Millennials were 37% more likely to view social and topical experts as influential than women ages 35-49. While influencers may reign supreme in the eyes of millennial females, that doesn't mean that beauty brands can outsource their marketing to Instagrammers and YouTubers. Nearly six in 10 millennial women said that the retailer or brand website and social media offering is very influential in helping them decide which beauty products to purchase. From relevant product information to advising about sales and other discounts, beauty brands' sites and social media channels are important resources worthy of continued investment. Another highly important channel to help influence millennial women is content marketing. Nearly one-third of millennial women cited online ads and branded content as influential channels for driving product purchase, and millennials are 10% more likely to be influenced by content than women ages 35-49.